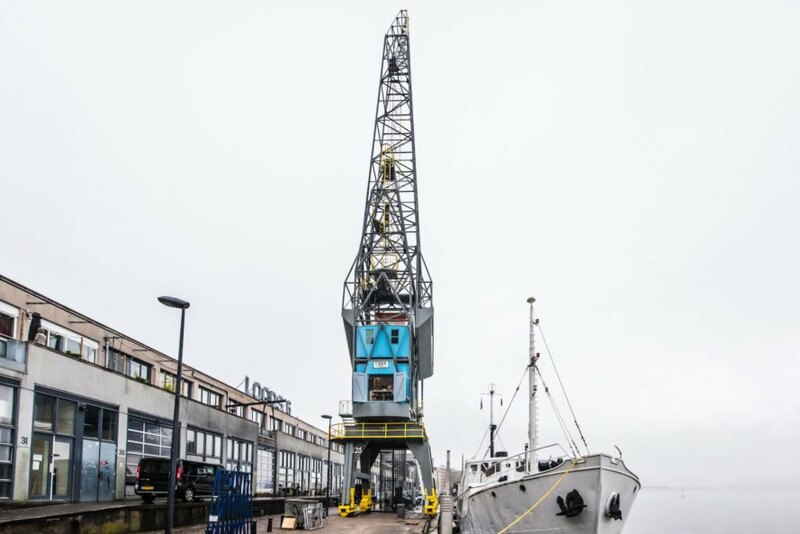 This cool converted crane isn’t the first of its kind—last year we shared a glimpse inside Arcgency’s renovation of a former coal crane in Copenhagen into a swanky retreat. Unlike its predecessor, The Yays – Crane Apartment is a more colorful affair. Three bright blue shipping containers are stacked together to form the three-story structure. Accessed via a staircase from the harbor, the 40-square-meter interior features a living room, dining area, and kitchen on the lowest level. 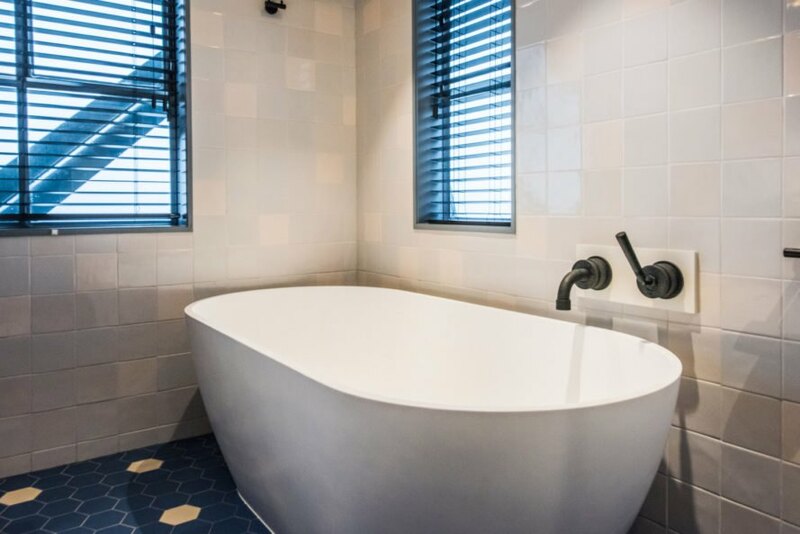 A bedroom with a bathroom (including a bathtub and shower) is on the floor above, while the topmost level contains the second bedroom with stunning panoramic views. Design elements like the exposed steel beams and Critall-style windows pay homage to the site’s industrial history. 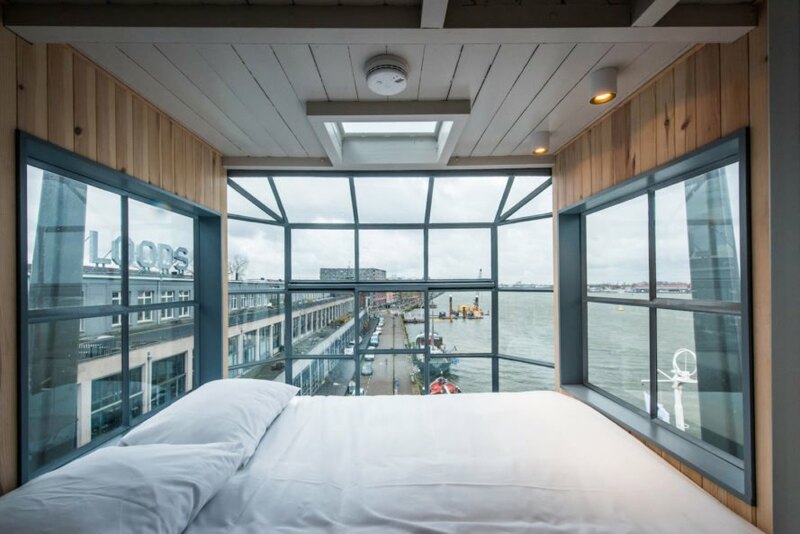 The Yays – Crane Apartment sleeps up to four and can be booked on AirBnB at just under $900 a night. A new luxury apartment is promising to elevate your next stay in Amsterdam—literally. 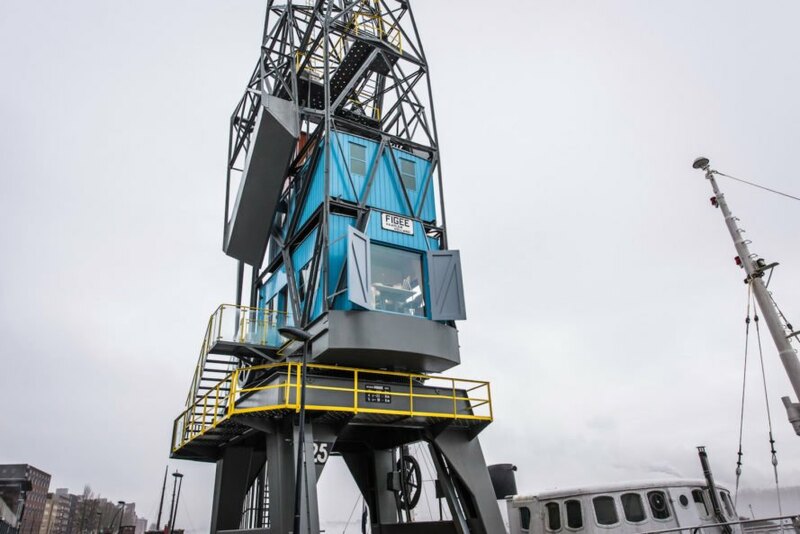 Dutch firm Yays Concierged Boutique Apartments teamed up with Studio Edward van Vliet to completely renovate and transform a 1957 harbor crane into a three-story luxury apartment while retaining the structure’s historical integrity. 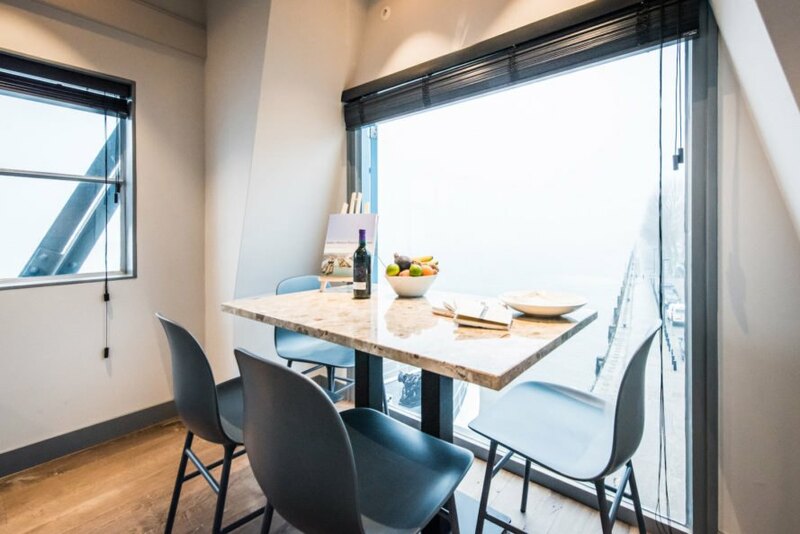 Boasting stellar views over the IJ River, this unique rental is located in the crane’s original location in the Eastern Docklands. 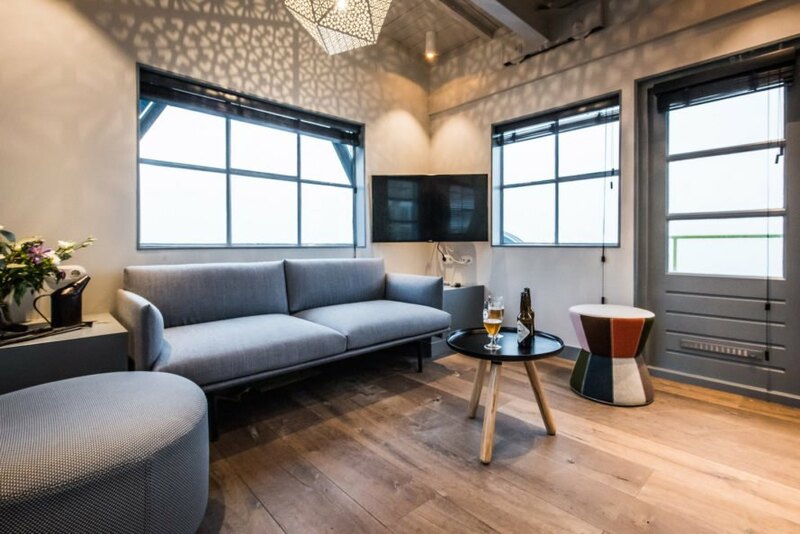 This cool converted crane isn’t the first of its kind—last year we shared a glimpse inside Arcgency’s renovation of a former coal crane in Copenhagen into a swanky retreat. Three bright blue shipping containers are stacked together to form the three-story structure. Accessed via a staircase from the harbor, the 40-square-meter interior features a living room, dining area, and kitchen on the lowest level. A bedroom with a bathroom (including a bathtub and shower) is on the floor above, while the topmost level contains the second bedroom with stunning panoramic views. Design elements like the exposed steel beams and Critall-style windows pay homage to the site’s industrial history. 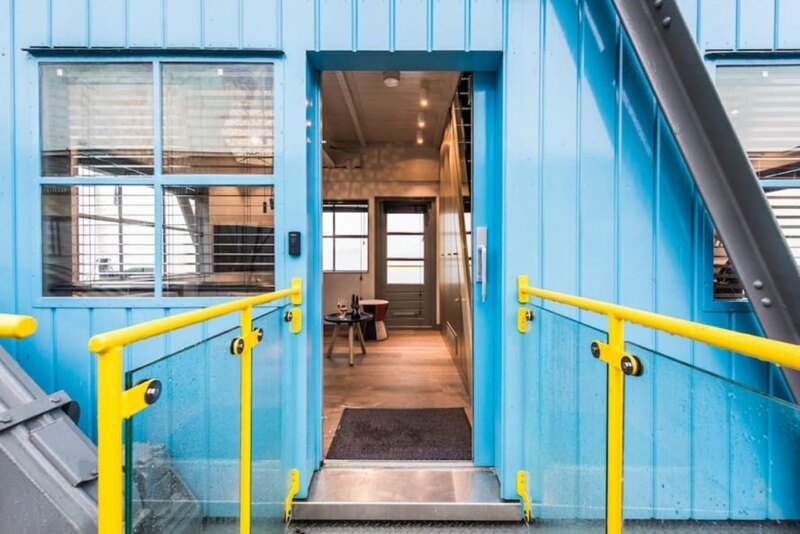 The Yays - Crane Apartment sleeps up to four and can be booked on AirBnB at just under $900 a night.